Hello, lovelies~ I have been playing with eyeliners lately. 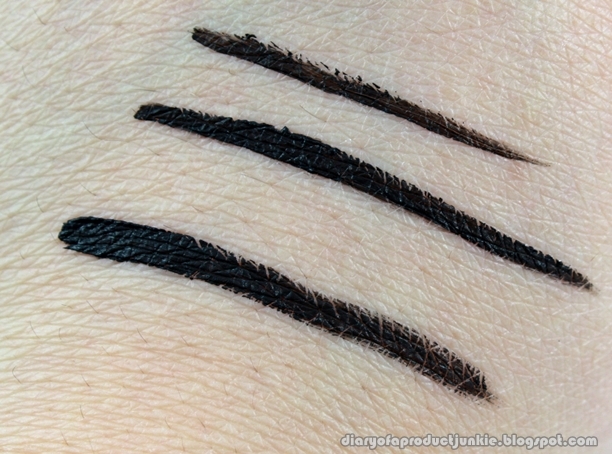 Every texture from liquid to gel eyeliners, I tried them. Most of them will work with my left eye, but not so much luck with my right eye. As you all may know, my right eye is slightly smaller than the other because the eyelid droops a lot more. So, the fold will almost always smudge every eyeliner known in the planet. Plus, as the day goes on, my eyelids will be oily, further removing any eye makeup I may have. 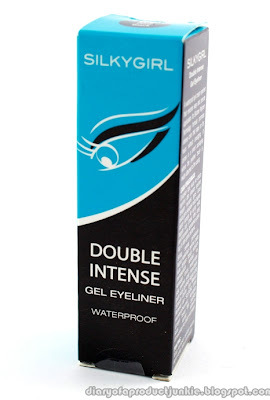 My favorite has to be gel eyeliners because they smudge a lot less than pencil or liquid on my right eyelid. So, I have been trying Silkygirl's gel eyeliner. This eyeliner was sighted near my minimarket where I live. I've heard it from another blogger, Yuka , a few months ago. When I was there buying groceries, I spotted it at the cashier and bought it. The product came with a box that has all of the instructions on what the components are, how many there are and how to use it. The packaging itself has quite a unique and efficient design. 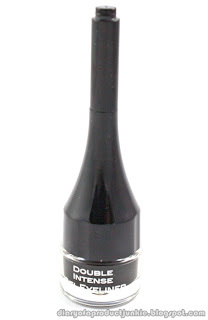 Certainly not the first brand to have an eyeliner designed this way, but still impressive. 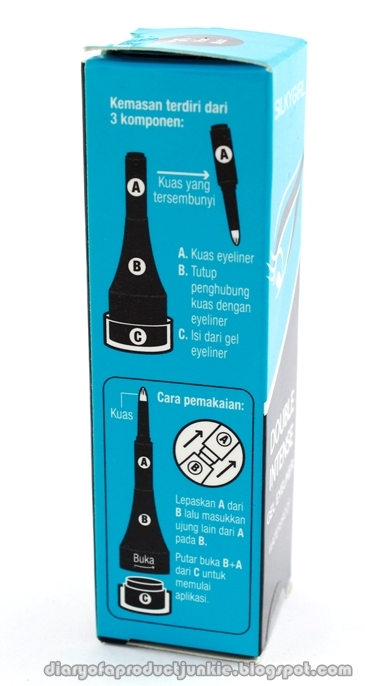 The brush is attached to the end of the cap, so it is very efficient to take for travelling. The overall size of the product itself is 10 cm, so it will fit into almost any makeup bag. The texture is creamy, but not to the point of easily-smudged creamy. 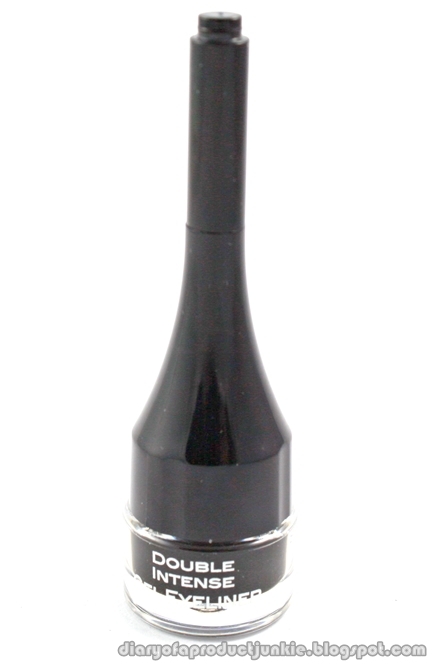 It applies really smoothly with the provided brush or an angled eyeliner brush. 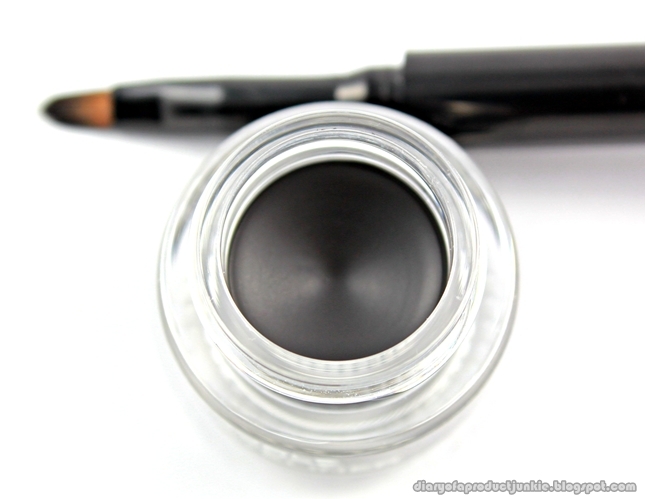 Take note that this eyeliner is not smudgeproof, so I usually wait a few seconds before opening my eyes after applying it. The color payoff is good, jet black. Well, according to my eyes, it is a dark black color, then again, I haven't met many gel eyeliners in my life, aside from Maybelline's and L'oreal. I wanted to get the brown eyeliner, but they're sold out. 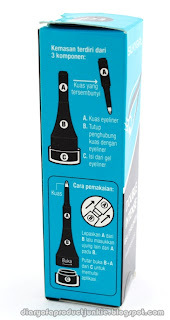 Overall, I think this is a good quality eyeliner with an affordable price, easily accesible to those in Jakarta. 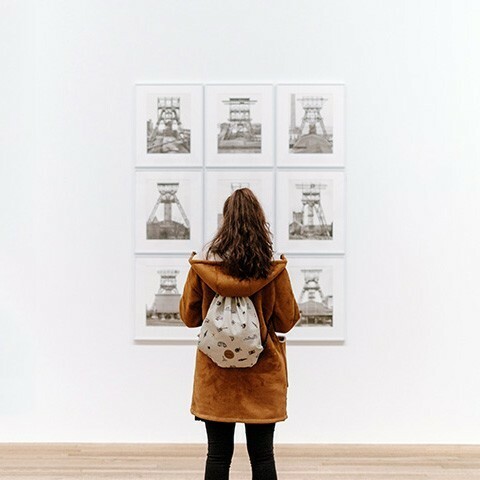 The concept of an attached brush might appeal to those in favor of travelling as it saves space and efficient. The staying power and color payoff may be enough reasons for me to repurchase it if I ran out of gel eyeliners.